Entries to the regatta in the yachting heart of the Pacific are now being accepted in anticipation of next year’s event. Entries for the 2016 New Zealand Millennium Cup have officially opened alongside an announcement of an updated racing format. Raced over the 27, 28, 29 January in the emerald waters of the Bay of Islands, the regatta will now encompass four races instead of its previous three; providing more scope for the fleet to explore the Bay. Organisers are now accepting entries for the two divisions of the race; the NZ Millennium Cup Series for yachts 30-metres and above and the Pacific series for yachts from 19-metres to 29.9-metres. 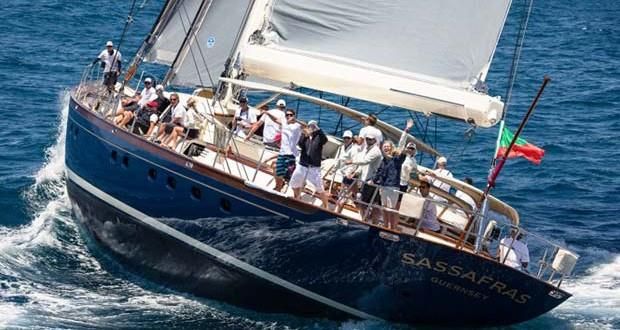 2015’s regatta saw seven yachts take up this challenge which has been appealing to yachts making a Pacific odyssey since the inaugural race in 2000. The journey to New Zealand is part of the appeal for many owners who enter, and who enjoy the sense of being in a place that’s a world apart from the usual regatta haunts. With every day of 2015’s racing flanked by dolphins and the startlingly beautiful vistas the Bay of Islands provides, the setting has proved to be a superyacht regatta backdrop like no other.Next year’s racing will once again be held alongside the Bay of Islands Sailing Week regatta; a domestic regatta which provides thrilling racing as the NZ Millennium Cup divisions and smaller classes fill the Bay with sails. Off-water, the NZ Millennium Cup’s organisers entertain their guests in a quintessentially New Zealand style with the best of New Zealand seafood, produce and wine, in barefoot-luxury venues overlooking the water.